When I was a child, my family ate pesto all the time in the summer and early fall. In fact, to me the smell of basil, garlic and cheese in the food processor is synonymous with warm, lazy days at the beach or on my parents’ hammock under a big, breezy tree. It was one of the few things my mom made without a recipe because she made it so often and could likely do it in her sleep. Also, my father always planted way too much basil so Mom was forced to use it up more quickly than it grew. Traditional basil pesto is the only pesto that I ever knew until I started over-planting my favorite herb, parsley, and mixing it with basil for an ever better (in my opinion) pesto. But it wasn’t until a few years ago that I heard about the huge spectrum of pestos out there not made from basil but from all sorts of herbs like cilantro and mint to leafy greens such as spinach and arugula and even peas or sun dried tomatoes. The result is a brave new world of pesto-adorned dishes beyond pasta in the summertime. The good news is that all pestos are super simple to make and help me make my boring meals more exciting. “Another turkey sandwich?” No, a turkey sandwich with pesto! Oooh, ahhh. “Grilled fish” doesn’t have the same appeal as “grilled salmon with cilantro pesto!” Although when I introduced kale pesto to my family, they were skeptical. Kale, which is my absolute favorite superfood, is more nutrient-dense than most any food on the planet, so I try to incorporate it into our meals however I can. I love how hearty and flavorful kale is, but it can be a little bitter for the kids if I don’t try to work around that. My standard pesto is made with pine nuts or pine nuts and walnuts. Both are soft nuts that get ground very easily, but can be also be a tad bitter. So I subbed blanched almonds to keep the pesto from getting too harsh and loved it, even though almonds don’t grind up quite as finely. The only other change I made was to add a touch of lemon juice which brightens the whole thing up and again, cuts any bitterness. I made kale pesto in two different ways. The first with all kale and the second with mostly kale plus basil. All kale pesto tastes reminiscent of broccoli which makes sense since they’re both in the cruciferous family. It’s so totally yummy with a hearty whole wheat or spelt pasta, stirred into soups like lentil, mushroom-barley or minestrone or slathered on a quesadilla with leftover roasted veggies and cheese. I imagine it would be great on a baked potato with veggies or in an omelet with goat cheese and mushrooms. Then I made another version with mostly kale and some basil and it tastes much more like the version you’re used to, but more substantial and maybe with a little more bite. So many people in my classes this month thought it was even better than an all-basil pesto. In class we ate it poured on a grilled chicken paillard. Sunday, I took some pasta with kale-basil pesto and chickpeas in Chinese takeout containers for a beach picnic and then used the leftovers yesterday on a grilled whole wheat pizza with ricotta, sauteed garlic spinach and fresh mozzarella. Insane. Feel free to use whatever kale you can find, but the curly green variety tends to get processed more finely in the food processor if that matters. Although in these photos I did use the Dinosaur (Tuscan) variety because I typically have that on hand for salad and juicing. However you try it, and I hope you do, pesto is a busy cook’s good friend anytime of year. Tell me your favorite ways to enjoy it! Toast nuts, stirring frequently, in a dry skillet over medium heat until lightly golden. If you are a “nut-burner,” just skip this step and put them in the food processor raw. Remove from heat and allow to cool. If you're using sunflower seeds, just use those raw. 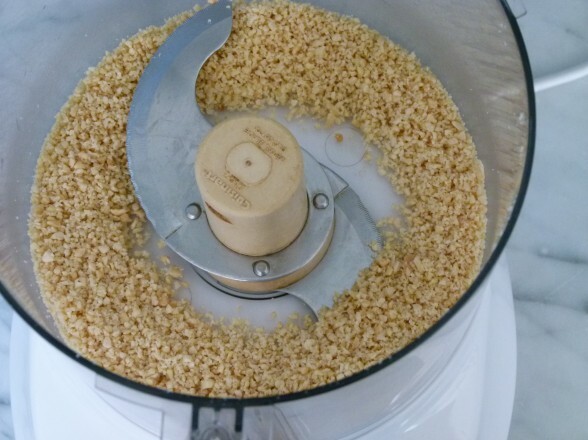 Place nuts and garlic in the bowl of a food processor fitted with the metal blade and process until very finely chopped. Add kale, basil, salt, pepper and lemon juice and pulse until chopped. With the food processor running, add olive oil in a steady stream until you achieve a smooth texture. Add cheese and process until well combined. Taste for seasoning and add additional olive oil to make a looser pesto. Can I have the pizza recipe u mentioned ? I don’t really have a recipe for it other than doing this: take whole wheat pizza dough and stretch it to the size you want. If cooking this in an oven, speed ricotta on the crust and dollop with pesto. Arrange sautéed spinach (sautéed in olive oil with lots of garlic + a pinch of salt) over the top. Bake at 475 or higher until the crust just starts to get barely golden. Then add the mozzarella on top and bake until that is melted and bubbly. If you’re grilling the pizza or cooking it in a pizza oven, add all the toppings at once. This is literally the BEST pesto I’ve ever had! My kids devoured it. I used 1/4 c blanched almonds and 1/4 c pine puts. LOVED. Thank you so much for yet another amazing recipe. You’re the BEST! This makes me so happy! And you must be thrilled that your kids are devouring KALE pesto! Nice job! My daughter is vegan so I never use any cheese in my pestos. Just the greens of choice, pine nuts, olive oil and an occasional clove of garlic. Try it! You will not miss the cheese at all. 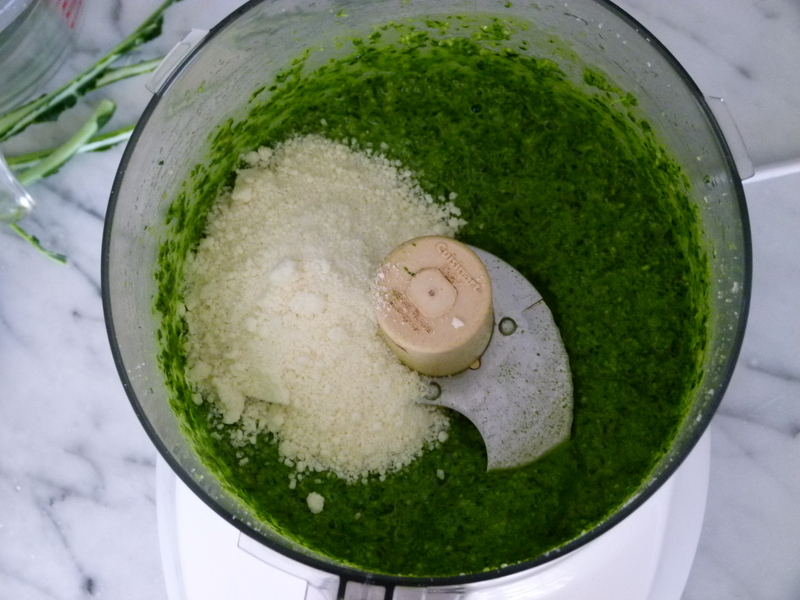 Italian parsley and mint make a fantastic pesto if you haven’t tried them. I just found your site and I am in LOVE!!! The gluten-free and dairy-free options are incredibly helpful. Do you have a dairy-free version of this pesto, if not, can you recommend a nut-cheese substitute or other alternative? Thank you, Kristie! NIce to have you here. I’ve gotten very good at DF and GF substitutions because so many people that common to my classes have those restrictions. You can either use a parmesan-type substitute like “Go Veggie” or you can sub 2-3 Tablespoons of brown miso or another hearty miso paste. If you use the miso, you must not add any salt, since the miso will be salty enough. Hope that helps! Along with the miso, you can throw in some nutritional yeast. It has a parmesan-y flavor to it. Delicious! I loved this as a dip too. I served it with Italian breadsticks, a big hit. garden:) I have found a fabulous one!! Thank you so much! I made fresh kale/basil pesto last summer. Some I canned others I didn’t. I found the fresh pesto was fabulous after 3months? I found a jar in the back of the fridge, it was still good? 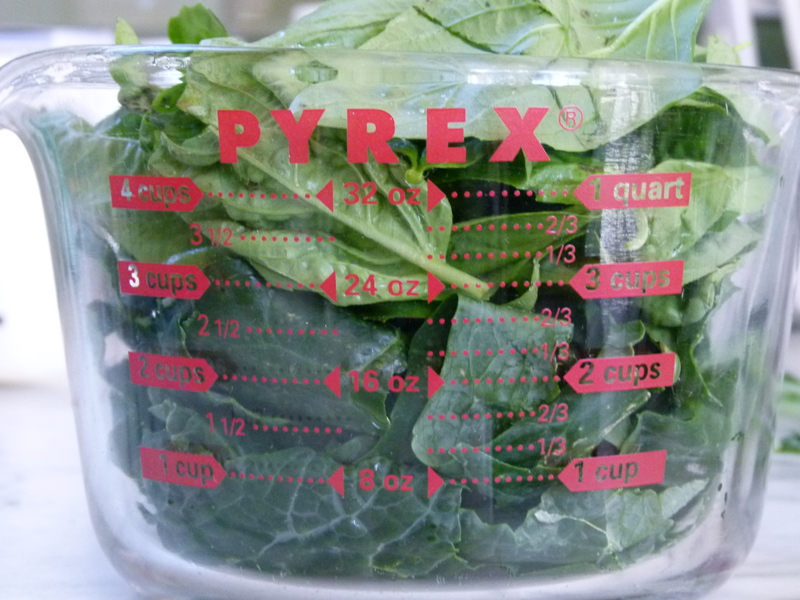 Can’t find anything on shelf life of fresh kale/basil pesto? How long does yours keep? I can’t say that I’ve ever kept it longer than 2 weeks in the fridge only because we finished it all. I typically make a lot and then freeze it in small batches where it can stay in the freezer for up to 3 months provided there is minimal air at the top of the container. I have tasted pesto after a couple weeks in the refrigerator and it’s fine, but not quite as “fresh-tasting” as after a few days/1 week. yum! just made this – will be bringing it to shabbat dinner at the beach tonight! serving it on salmon…. So clever! Thanks for the suggestion! Just adding a helpful hint from a friend who owns an herb farm. Freeze pesto in small ice cube trays (I like the little square ones), when frozen pop out & freeze in airtight container. this way you can take out as many cubes as you need. A helpful hint, indeed! I love that idea. Thank you for sharing! 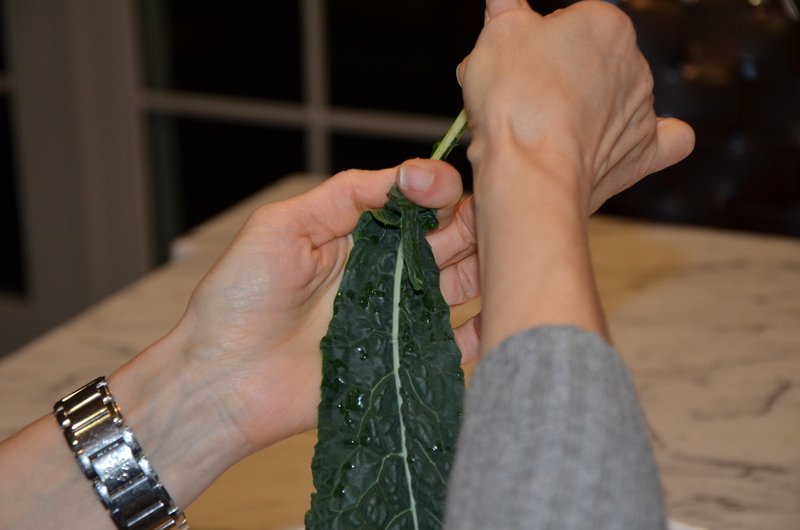 I went to make this and forgot to buy the kale – duh! 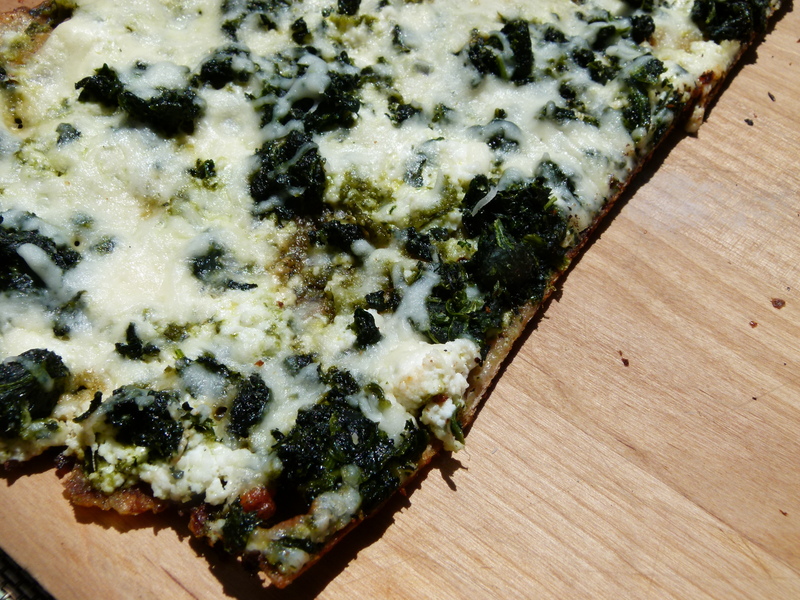 So I used spinach and swiss chard and it was delish! 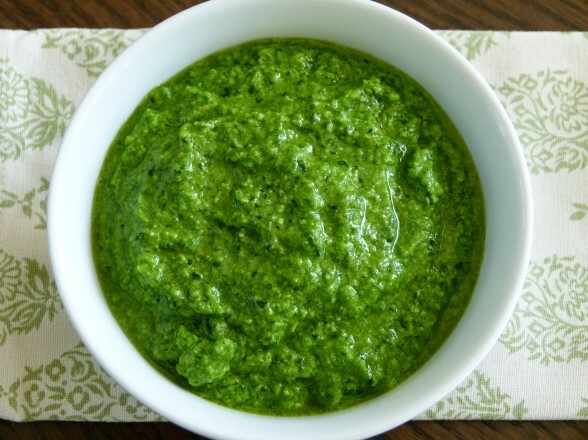 I’ve made pesto with parsley, spinach, arugula…..but never kale and it never even crossed my mind. Can’t wait to try it! 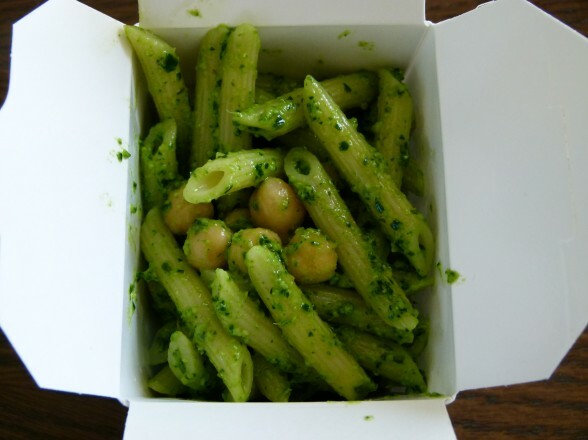 Loved spinach pesto, but my kids weren’t crazy about arugula pesto. I think you’ll enjoy the kale! I made this yesterday for my family and everyone loved it! So delicious! Do you mean to blanch or toast the nuts? Thanks. I bought the almonds blanched and then toasted them lightly myself. Walnuts and pine nuts are not blanched. Hope that helps!